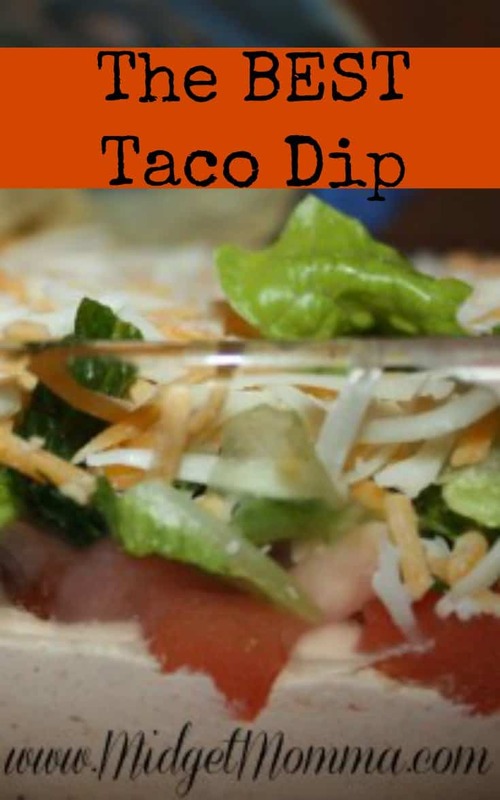 Layered Taco Dip is a great Party dip to have and it really is easy to make. You can easily make it the day before hand and keep it in the fridge and it cuts down on the craziness of that day. or you can make it a few hours (or minutes) before you need it. 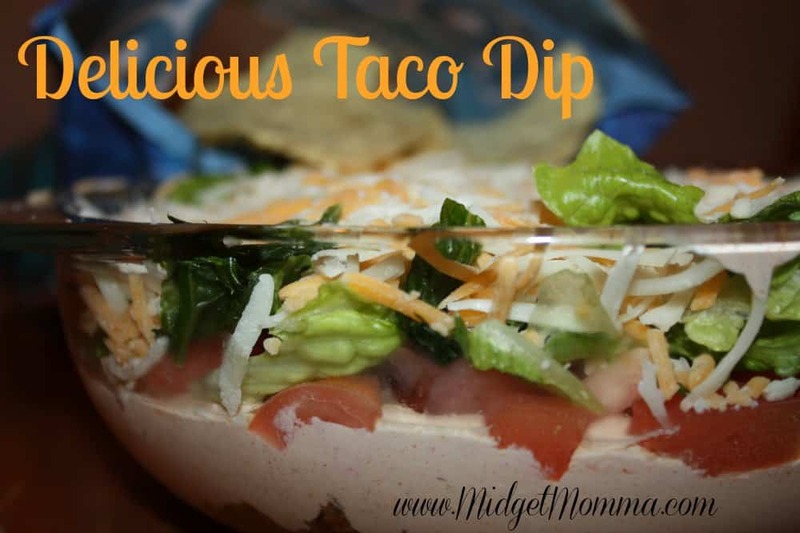 The hardest part about this Layered Taco Dip is cutting the veggies 🙂 If you want to add more to this taco dip you can also add a layer of homemade guacamole, which gives this Layered Taco Dip an extra boost of flavor but either way you make it is amazing! Cook ground beef in a skillet until cooked through. Drain any fat and add 1/2 cup water plus 1 Taco Seasoning pack and let simmer for about 5 minutes and turn the heat off let cool for about 10-15 minutes. In a small bowl mix the sour cream with 2 packages of Taco Mix. Get a clear glass bowl that you will use to serve your dip in. In a bowl layer all ingredients, Taco meat, then sour cream, tomatoes, lettuce and cheese. Refrigerate until needed. While you can eat it right away if you want to I find it tastes better when it has been chilled for about an hour. You can easily put this in the fridge over night for a party you are having the next day too. Then just get your favorite tortilla chips and enjoy! Looking for more snacks? Check these out! 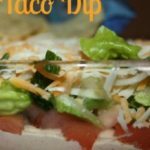 More Dip Recipes to try!